How Does Whole-Home Humidity Control Work? Humidity can affect different people in different ways. For some of us, humid weather means wild and frizzy hair—an annoying but manageable problem. For others, it means much-needed relief from severe breathing or skin problems. Striking the perfect balance of moisture in your home’s air is essential to keeping your family healthy and your house free of mold and other biological contaminants. At Dust Doctors in Minnesota, our indoor air quality experts can install a system that will purify your home while controlling the humidity in your indoor environment. We’ve put together this helpful information to explain how whole-home humidity control works to give your home its ideal air quality. Minnesota doesn’t do anything halfway, and nowhere is that truer than in our seasonal weather patterns. Our dramatic temperature and humidity changes bring a high level of humidity every summer and dry, arid winter weather. Excess humidity in the summer creates an environment where mold and other unwanted biological organisms can thrive, spreading sickness and causing respiratory problems. On the other hand, exceptionally dry air can wreak havoc on your family’s sinuses and cause a serious health hazard to individuals with asthma. Extremely dry air is also much harder to heat. Our air quality control experts can help restore your home to its top level of comfort by installing a whole-home humidification system. This system can completely humidify an entire family home of up to 4,000 square feet. With our whole-home humidifier, you no longer have to worry about a dry home in the winter. 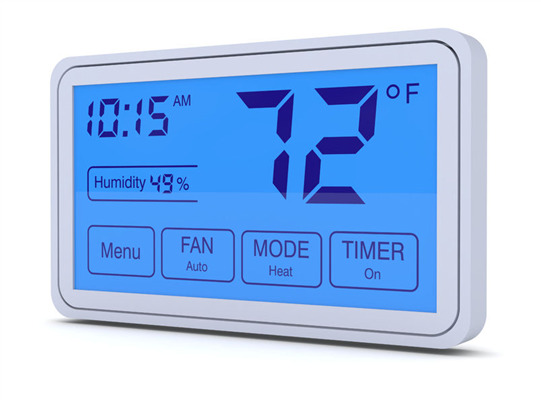 Your home’s increased humidity levels will move the warm air around your home and make it much easier to heat. The air outside might be cold and dry, but with our whole-home humidifier, there’s no need to struggle with the misery of dry and uncomfortable air in your winter home. Rest assured knowing your family will be comfortable year round with the ability to completely adjust your home’s humidity levels any time. Whether you choose to use an automatic setting or manually adjust, our system has something for everyone. If you’re ready to say no to the misery of dry sinuses and cracked skin, have you covered. To find out more about our whole-home humidifier system or schedule your air duct cleaning, give us a call at 651-319-9777, or contact us to discuss how we can help. Is There Mold in My Home's Ductwork?